Come 2011 and the market is afloat with news about top management changes in some companies. Earlier on, Volkswagen made all the changes and now following suit is one of India’s oldest companies, the Eicher Group. 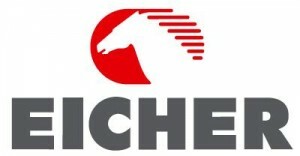 Incidentally, the Eicher Group are more associated with their trucks and heavy duty vehicles. This time around, the Eicher Group gets Mr R.L. Ravichandran, the CEO of Royal Enfield Motors as an Executive Director and member of the Board. It may be remembered that Mr R.L. Ravichandran, an ex-employee of Bajaj Auto and TVS, has been instrumental in bringing about the sea change that we see in Royal Enfield bikes. Earlier on, the first challenge he had to face was to revive the company and make it modern while retaining the traditional values. For this, he was given a tight budget and had to manage everything in it. Since the old plant was ailing, he had to bring it up to date with modern tech. The first thing he did was replace all the aging machines and since the factory was located close to the coast, was prone to corrosion. New anti rust machinery made its place into the factory. The company also seeked help from AVL of Austria to make the UCE engines in place of the cast iron blocks earlier. It has been almost 5 years since Mr R.L. Ravichandran joined Royal Enfield and today, the company commands a sizeable premium over the other bikes in its category and still gets away with it. Quality has improved many notches and the bikes can now be called fairly reliable rather than the unreliable tag that they sported earlier. The Bullet Classic has a waiting period of 3 months for it and also is one of the most sought after models in the entire range. It now remains to be seen however the erstwhile CEO makes amends in the Eicher range of trucks and makes a strong market force to reckon with.